Do you remember Monstroid, a huge multipurpose WordPress theme we reviewed around a year ago? Since then, it’s grown even more as a result of multiple updates. Today, we’d like to review the latest one and give away 5 licenses for Monstroid. 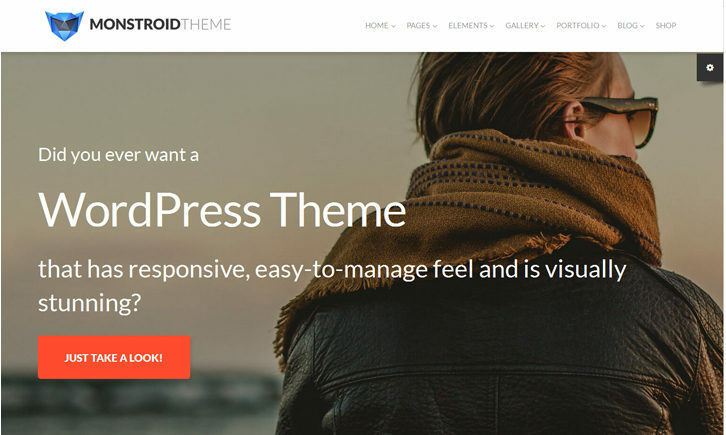 You can find a lot of WordPress themes designed specifically for blogs, portfolios, online stores, whatever, but Monstroid provides a versatile solution for any project. So, make sure you take this opportunity to obtain it for free. Find out how to win it and read more info about its latest update below. The giveaway of Monstroid starts on August 12, 2016, and ends on August 16, 2016. We will pick 5 winners at random and reward each of them with a license for the theme. There are three simple steps to take in order to win it. You’ll need to spend literally just a few moments of your time. Go to the Monstroid page and read about its functionality in detail or view the theme in action. Choose the coolest feature or child theme and mention it in the comments to this post. Leave your valid email. We will use it to contact you and tell you how to get the license for Monstroid. That’s all. The whole process is very fast and easy, isn’t it? Now, let’s see what the new Monstroid package of updates offers. The competitive edge of Monstroid is a large pack of niche templates known as child themes. With their help, you can get a ready-to-use design for the field in which you’re involved. Just customize it a little bit in line with your corporate style. The latest package of updates includes child themes for gamers, political parties, restaurants, extreme sports clubs and architecture firms. Check out the last two of them below or all of them by following the link. 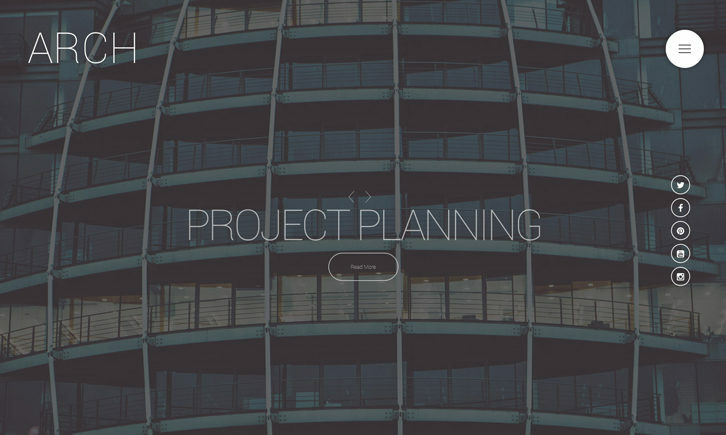 Arch is a responsive child theme designed for architecture and exterior design firms. It allows you to build a visually rich site with a full-screen slideshow, filterable gallery, page-wide image backgrounds, progress bars, etc. To navigate your resource, visitors can use a burger menu that is also followed by a social menu. 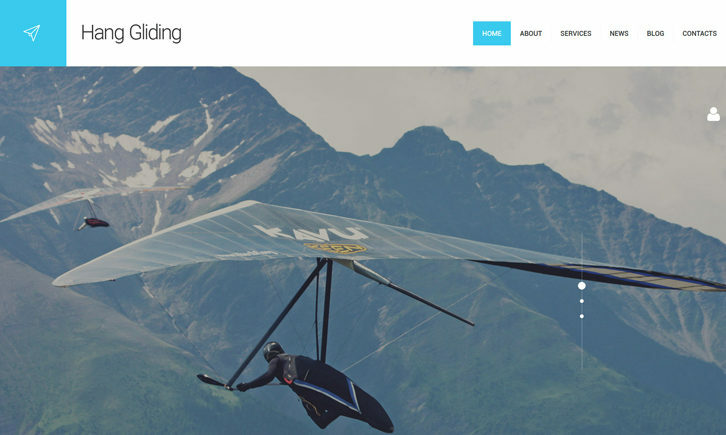 This responsive child theme is a perfect option to promote extreme sports and any other activities online. Its design feels dynamic and engaging thanks to a skilful mix of transition, hover, and parallax effects. A fixed menu makes the layout easier to navigate. A timeline and icons are meant for effective content organization, whilst polygons are used to support it visually. The homepage of your site is the face of your company in cyberspace. It’s of utmost importance, and that’s why the team behind Monstroid decided to provide a wider choice for users and released 3 more homepage versions. Spiced up with a parallax effect, they can boost customer engagement. Here’s one of them. keep the sidebar in 1/3 and 1/4 ratios to the main body of content. 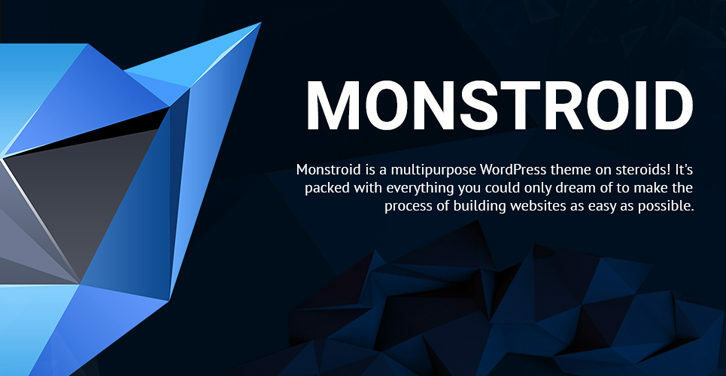 As you can see, Monstroid is a powerful WordPress theme that is constantly growing due to updates. Would you like an opportunity to get it for free? Then, try your luck in the giveaway. Best wishes from our team! AUTHOR’S BIO: Nick Campbell, the author of this article, is fond of writing posts on various subjects, particularly web design, e-commerce, social media, marketing, business, and education. He has been involved in the content creation sphere for more than two years. Nick is primarily focused on covering modern trends in a specific industry to help his readers keep abreast of the latest news. If you don’t want to miss any brand new developments in the aforementioned topics, follow Nick Campbell on Twitter and Google+! But: Hmm, how do I leave my mail address without making it available to spammers? I like the Cherry framework and the Theme settings backup! The versatility of this theme is what I like best. You can do anything with it. Is the Theme Perfect!.. All in One… Cherry Framework, Social Integration, SEO and childs pages… Excellent! They include PSD files as well. This beats everything! Of the theme’s many awesome features, I especially like the css compile/minify along with the free extensions. I like the child themes and the fact they using a nice and clean framework, creates some nice responsive layouts. Very impressive themes. The parallax effect theme looks awesome. I was thinking about using it in one of by websites. what do all of you think? The real Monstroid secret is that core Cherry framework. The real Monstroid value rests in the many pre-built sites. My fave Monstroid feature is the Ajax-sorted Gallery. I’d have to say the wide set of child themes. Stuff like that makes it very easy to rapidly set up the base for a web page.